Jo Laughlin made her return on Legacies Season 1 Episode 6, and as expected, it was a short-lived affair. With monsters popping up every single week, it was about time we had one that was deeply rooted in the show that kick-started the franchise. Jo was a great character on The Vampire Diaries Season 6, and her character was one of my favorites, so bringing her back from the dead just to off her again was always going to leave me with a lot of emotions. 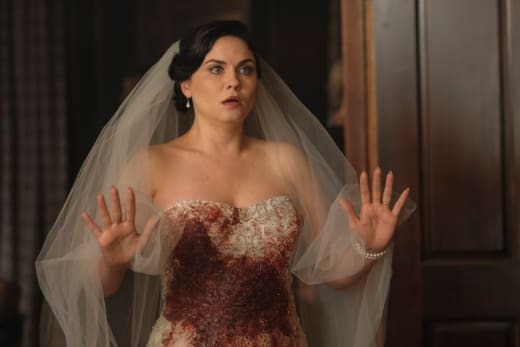 It's hard to believe sixteen years have passed since that fateful wedding, but "Mombie Dearest" was an invaluable gift that Alaric, Josie, Lizzie, and even Jo will recall for years to come. If you watch The Vampire Diaries online, you know that Alaric's significant others have a knack for dying, but he thought all of that was behind him with Jo. 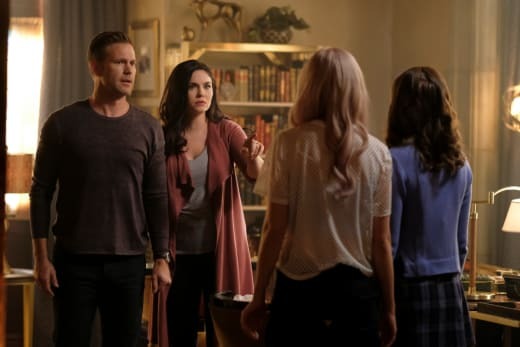 While many fans of both The Vampire Diaries and The Originals have struggled because Legacies has a distinctly different format to the shows that came before it, Jo's surprise return was a perfect way to show that this new series will honor those two shows. Alaric's first thought was to take Jo down, and who can blame him? It was about time the ruler of Malivore got personal to get the knife. The acting from Matt Davis during all of the emotional scenes gave me chills. He perfectly embodied this grieving man whose sixteen-year-old wounds had been reopened only to lose the love of his life all over again. In essence, the twins surviving was a gift, and even Jo thought when she died they were gone. It was only natural for her to jump to the conclusion that Calaric was a thing. 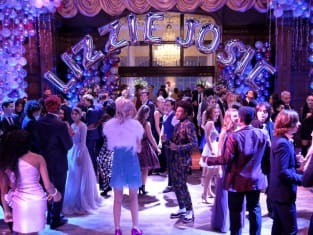 The best part of this messy scenario is that Josie is like a young Jo, while Lizzie is like a young Caroline. The powers that be really brought their A-game when they fleshed out these wonderful teenagers. For Lizzie, this was all a therapeutic process that taught her a lot about herself. She's had her guard up her whole life and is prone to lashing out when it all gets too much. Does this remind you of anyone? A tall blonde who's out of town fighting to save her daughters is the only hint I'm going to give you. Lizzie not only met her biological mother, but she also had these hopes and dreams about her relationship with Rafael. There was no relationship there. The pair were mad about everything that happened on Legacies Season 1 Episode 5, so they sought solace with one another. It was typical for Lizzie to think there was something more here. I only hope that she takes this on board when she tries to get closer to other boys in the future. I might sound completely awful, but I hope that boy is not MG. He deserves better. He couldn't have made it clearer that he was into Lizzie than saving the day for her when she really needed it. There's no way Lizzie is ever going to look at him as more than a friend, and that's okay. It happens. I just hope MG realizes sooner rather than later that he needs to move on and let Lizzie do her own thing. As for Penelope, can Lulu Antariksa get that series regular contract already? Penelope is killing it, and there's no way she's a wicked person. From what we've seen so far, she hates injustice, particularly when it comes to Josie always coming second best to Lizzie. 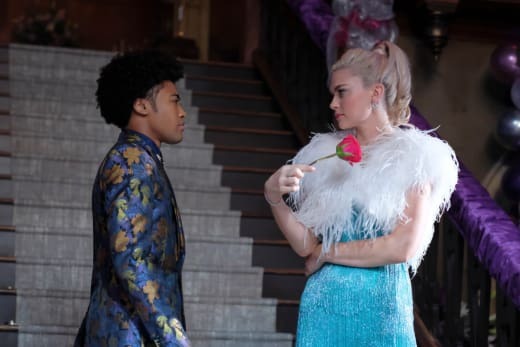 There's a connection between Josie and Penelope, and as much as they try to deny it, and claim they hate each other, it's going to continue to rear its ugly head. The reaction from Penelope when she realized that Josie was in danger confirmed there was a lot more than ill-feelings here. Penelope, MG, and Hope fighting zombies was another standout moment. Penelope throwing the weapon at Hope was very reminiscent of the scene from the series finale of Buffy the Vampire Slayer in which Faith threw the scythe at Buffy. Legacies has no qualms about using pop culture references. We're only one-third of the way into Legacies Season 1, and there have already been a bunch. Even the covers of various songs are hitting me right in the feels. Madilyn Bailey's cover of Avicii's "Wake Me Up" was beautiful as the twins and Alaric said goodbye to Jo before she literally disappeared. 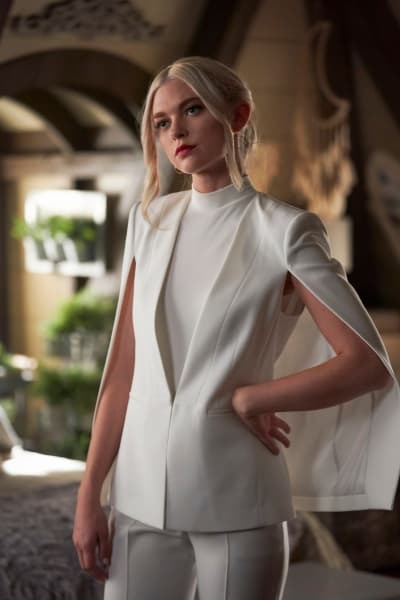 "Mombie Dearest" was the most rounded episode of Legacies to date. The pacing, twists, and the dialog were all on top form. The writers have come up with a convincing plot to take Caroline out of town, but I'm struggling to get on board with her missing the birthday party. Whatever lead she was following, it must be a good one. Landon being away from this installment was a good move. There was enough drama what with the zombies and the return of Jo. Hope turning to Emma for relationship advice was out there, but who else did she have to talk about Landon? I totally thought the necromancer was Enzo when I heard its voice. Now that we know whoever is controlling Malivore can take people who are at peace, and plant them anywhere, it certainly begs the question about who will be coming back next. Remember you can watch Legacies online right here via TV Fanatic. Get caught up on this addictive CW drama right now. What did you think of Jo's return? Did you want her to stick around? 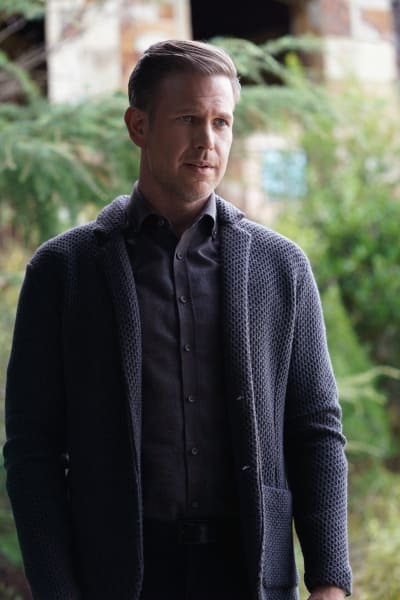 What will become of Alaric now that he's on the path of vengeance? Legacies Fall Finale Promo: Will Death Come Knocking?